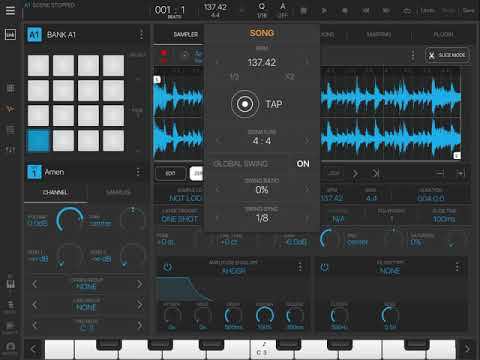 How to keep playing a pad in an infinite loop? 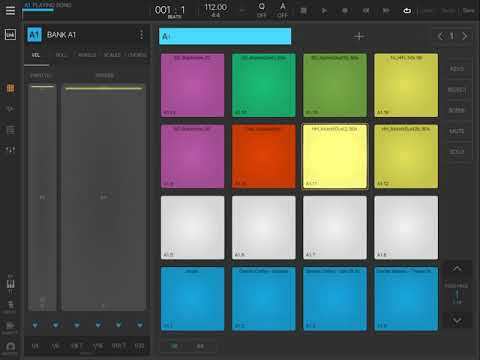 I would like to press a PAD (in performance view) and keep playing the sample in an infinite loop, is that possible? 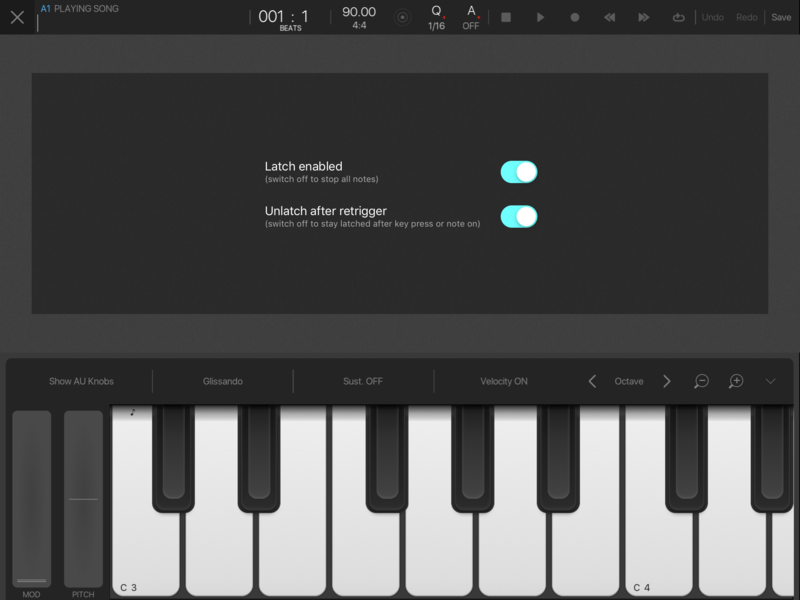 You can add a basic latch control to BM3 by purchasing Audioveek’s awesome MIDI Tools in the appstore. 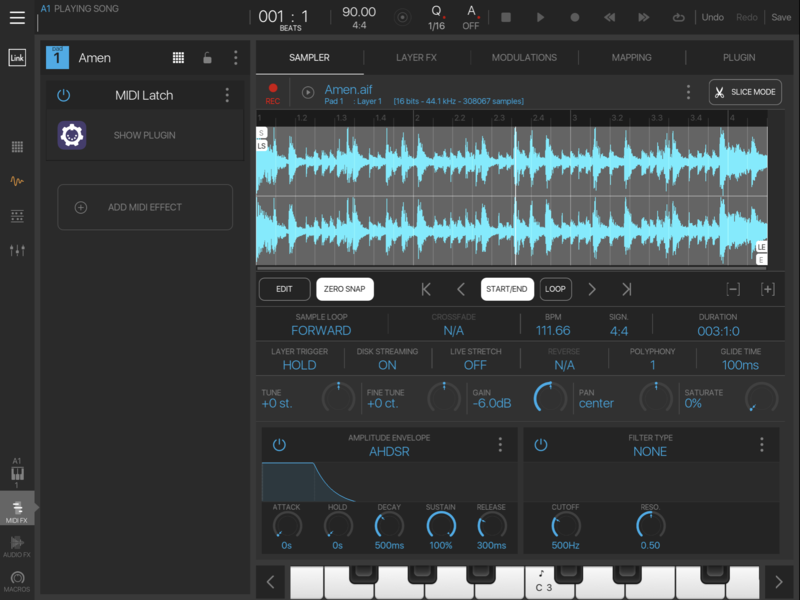 Just load an instance of the latch midi effect on each pad you want this control on, and afterwards tapping the pad will act as an on/off command instead of just playing the sample once. 1 - Load MIDI Latch as an AUv3 Midi effect on the pad (not the bank!). Hi tk32, does this plugin works with samples in WAV format? There is no need for latch. Yes, that works for neatly trimmed loops that match the project tempo.. but what about if the OP's loop is an irregular length @winconway ? I answered his question, he said he wants to loop infinitely, which that does, not sure where odd length or anything else comes in to it, even odd lengths can be looped. @tk32 i have tried your solution but i have ipad 4 (ios 10.x) so i cannot install/purchase your suggested plugin. 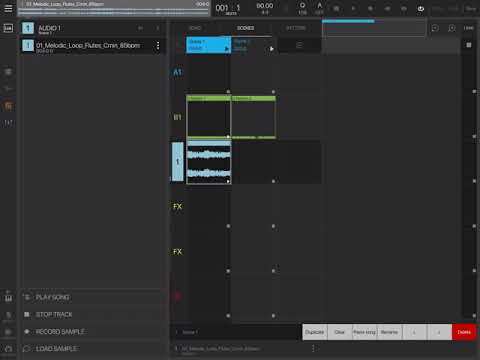 Could you recommend another plugin or solution? @winconway could you elaborate steps 2 and 3? Here is a quick video of the simplest method. Thanks again @tk32 and @ronji . I need this arrangement because i want to play rhythms and play percusions live, and i need to be able to change rhythms as fast as possible and able to play percusions (from last rows). I have tried the scenes views - but i just can see patterns, but i cannot play my percusions live. So finally, that´s why i am trying to assign a loop to pad and play infinitely. Thanks for all of you that take the time to help. I’ll try setting up a bank like you describe later today and post a video of it in action. Yes, exactly like that. I asume you are using the Latch plugin on the last row loops? 1. Could you show your pads configuration and explain? 2. How did you record video/audio of your ipad? What tools did you use. Unfortunately it does require the latch plugin in order to do it all from the pad screen like this. Are you able to upgrade your iPad 4 to iOS 11 or 12? Unfortunately, acording to Apple, IPAD 4 can not be upgraded to IOS11.